By now most people are aware that antioxidants are good for their health. Some of you may also be aware that we obtain antioxidants from fruits and veggies and that their colour is determined by the specific antioxidants contained within them. 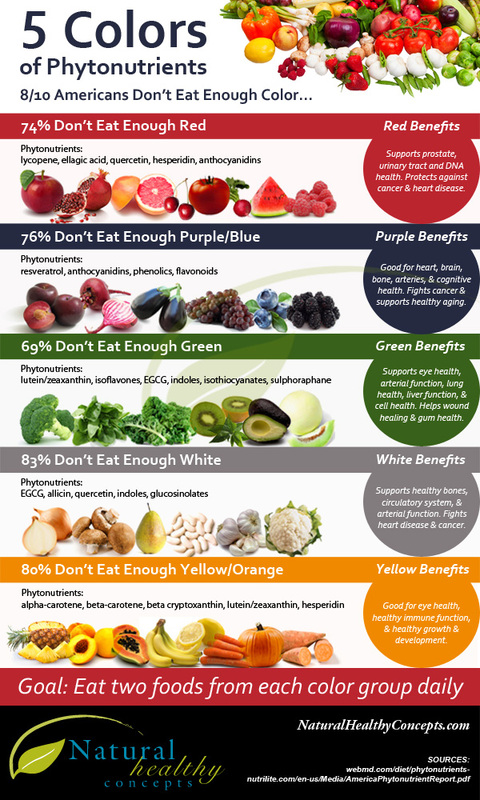 This is why the phrase “eat the rainbow” exists; by eating an abundance of fruits and vegetables in all different colours we can ensure that we are getting an abundance of life-enhancing antioxidants and nutrients. So what exactly are antioxidants doing in our bodies, and what makes them so important? It’s impossible to explain the role of antioxidants without first explaining free-radicals. A free-radical is an atom or group of atoms that has at least one unpaired electron in its atomic orbital. This charge causes most radicals to be unstable and highly reactive. Because these molecules wish to be stable, they are going to attempt to scavenge an electron from a healthy and stable molecule. This process leads to the damage of many important molecules, such as DNA, leading to cell damage and metabolic dysfunction. Normal metabolic processes in the human body produce free radicals. Some internally generated sources of free radicals are due to exercise, inflammation, and digestion. We are also exposed to them from external sources. A balance between free radicals and antioxidants is necessary for proper physiological function. When there is an imbalance between free radical generation and antioxidant defences it results in what is referred to as oxidative stress. Free radicals are also referred to as reactive oxygen species (ROS). Isn’t it ironic that oxygen, an element indispensable for life, under certain situations has destructive effects on our bodies? Oxidative stress has been linked to heart disease, cancer, arthritis, stroke, respiratory diseases, immune deficiency, emphysema, Parkinson's, Alzheimer’s, and other inflammatory conditions. Many experiments have clearly shown that DNA and RNA are susceptible to oxidative damage. It has been reported that especially in ageing and cancer, DNA is considered as a major target. Ageing can be more simply thought of as an accumulation of DNA damage over time. An antioxidant is a molecule stable enough to donate an electron to an unstable free radical and neutralize it. This reduces its capacity to cause bodily damage. Antioxidants delay or inhibit cellular damage mainly through this free radical scavenging property. By now it is pretty obvious why we should all be making a legitimate effort to ensure we are getting an abundance of antioxidants in our diets. Not only do they slow the ageing process, but they also prevent a tremendous amount of age-related diseases. In the modern world, it is extremely difficult (if not impossible) to be obtaining an adequate amount of antioxidants through diet alone -- despite how healthy it may be. We are exposed to an alarming amount of free radicals from air pollution, stress, chemicals on our food, chemicals in our water, chemicals in cleaning supplies and beauty products, and radiation from our electronic devices. Our antioxidant needs have gone up while the antioxidant content in our food has gone down due to a myriad of reasons. But fear not! There are some great supplementation options out there that are simple and effective to make up for this deficit. If you would like to trial an incredible product that provides the antioxidant equivalent of 10 servings of fruits and veggies and only 5g of sugar per serving, send us an e-mail. You will be sent a digital gift card for a 20% discount! This product has been clinically proven to reduce DNA damage in as little as 14 days when taken as recommended. It also helps you to better manage stress, it increases joint comfort and flexibility, it increases energy, AND it supports mental clarity and cognitive function. It was a total game-changer for me and I would love to share these benefits with all of you!